For those of you who really want to start writing your first novel as one of your goals for 2019, I put together a 30 Day Writing Challenge checklist for 2019 that you can download, save, and use. What’s so great about this free template is that you can start this challenge whenever you like, and you can use this template for anything related to writing. The goal is to become inspired and write something every single day for 30 days. Even though I really enjoy writing and I’m really, really excited to write my second novel. I do find it hard sometimes to feel inspired to actually sit down and write. Whenever you are feeling this way, here are a few of my tips to help you get motivated when you are feeling especially unmotivated. Read a book: It’s easy to become inspired by others. If you are wanting to write your first novel, I suggest reading a few novels in the same genre as you want to write in. Find a space to write: Go to a coffee shop. The vibe of others working can often help get you excited to start writing. Or make a cozy area in your home to write in. A space that is all yours. Get tips from others: Follow some of your favorite author’s website, read their blogs, or other bloggers you enjoy following. Again, inspiration is key. Make a plan. It sometimes can be difficult to just open up your laptop and start to write. Before you start this challenge, I would make a list of all the things you are wanting to write about. For example, journal topics, blog topics, notes for a short story, or even outline your first novel. This will save you a lot of time trying to decide what to write about. Don’t listen to others: If you have the passion, anyone can write. You do not have to go to school to be a writer, and you don’t have to have the best grammar. You don’t even have to know how to edit. You can hire people to do all of that. If writing is something you have always wanted to do (even if you want to start a blog! Just do it! I love to blog! Sometimes it’s all I want to do), just get started. The hardest part is actually starting. So, what you are waiting for? 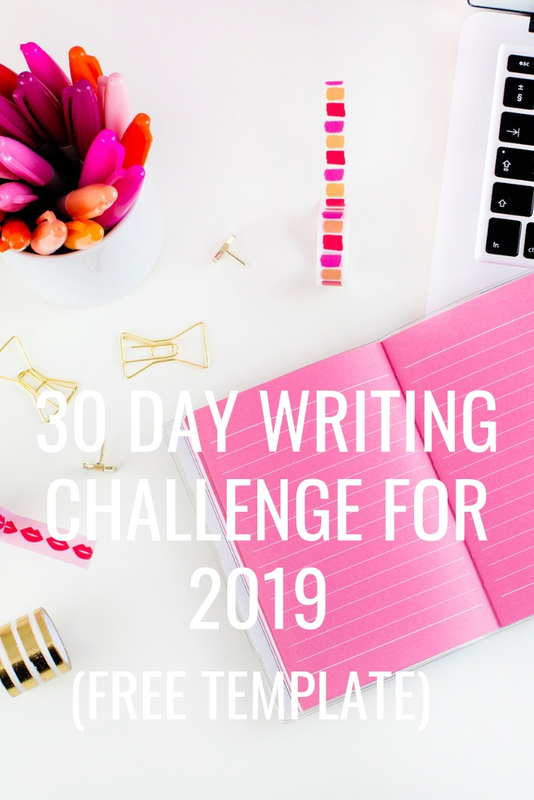 Click on the image below to get the 30 Day Writing Challenge Checklist for 2019.